The twenty-three poems in “Household Words” take an unflinching look at loss and celebrate the remarkable power of healing. In a clear-eyed, precise style, Stevens presents poems with a disarming simplicity that often belies the depth of the emotion readers will discover upon rereading. Filled with original artwork by the author, this volume will be a unique treasure for fans of Stevens’ work. 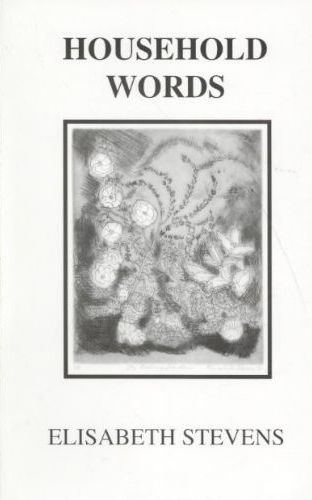 A book such as “Household Words” rich with poems and prose that face loss unflinchingly and celebrate the power of healing …” — Sarah Hartmann, columnist South Shore Observer.